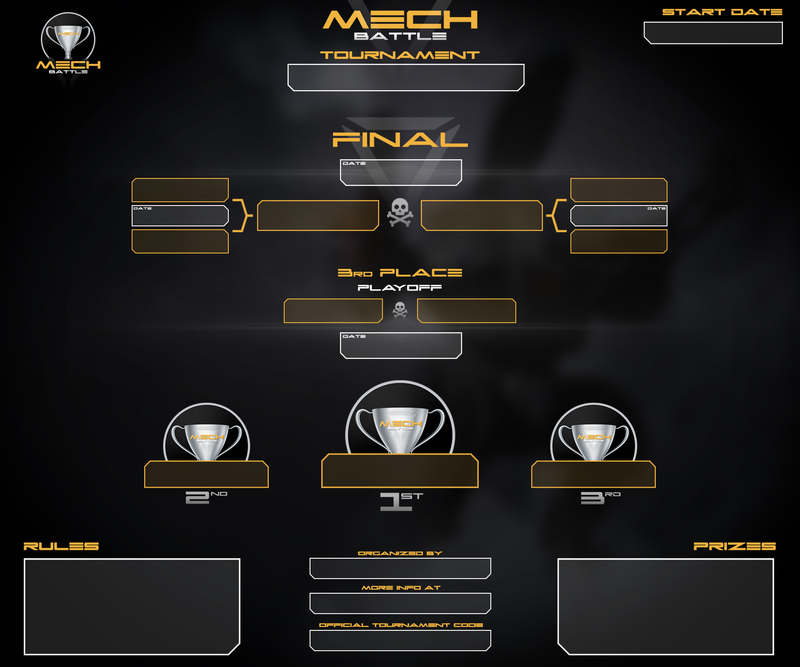 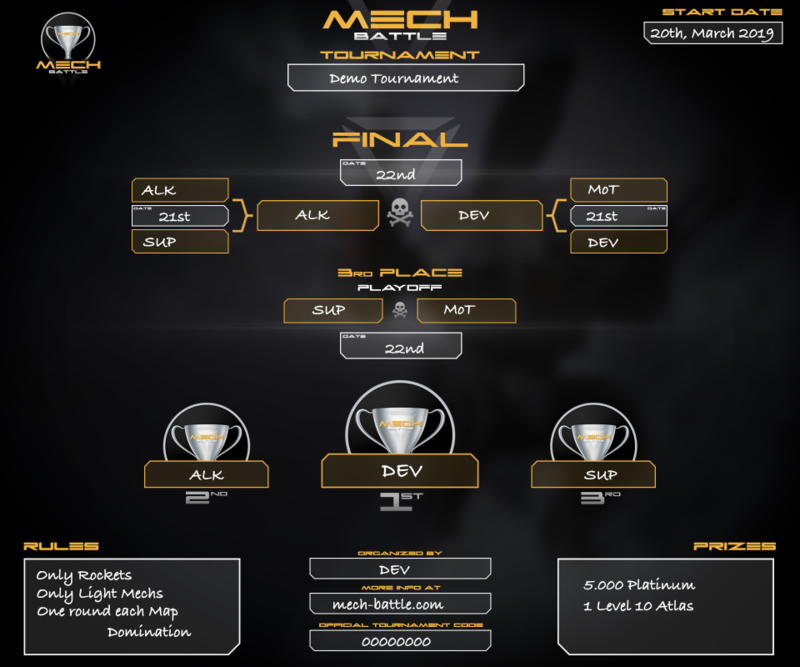 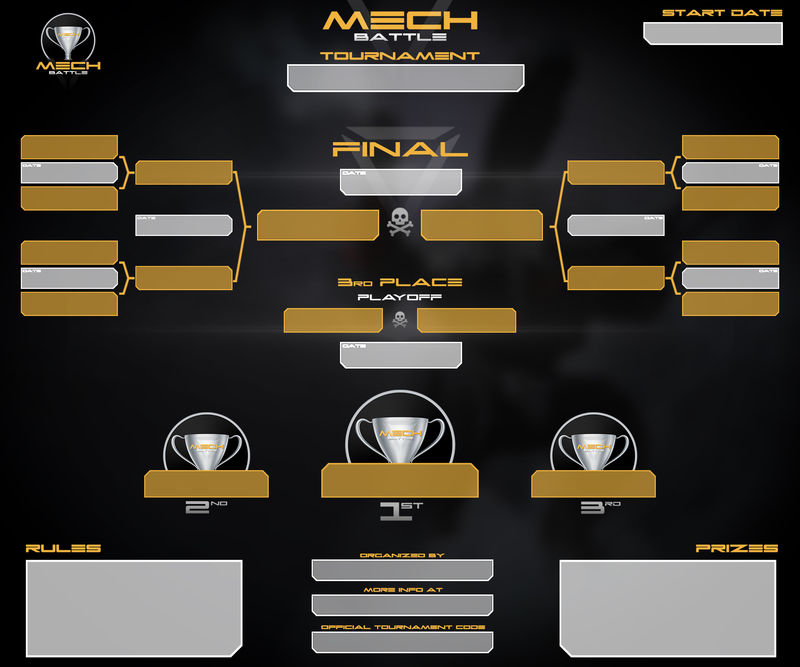 Do you want to host a custom Mech Battle Tournament? 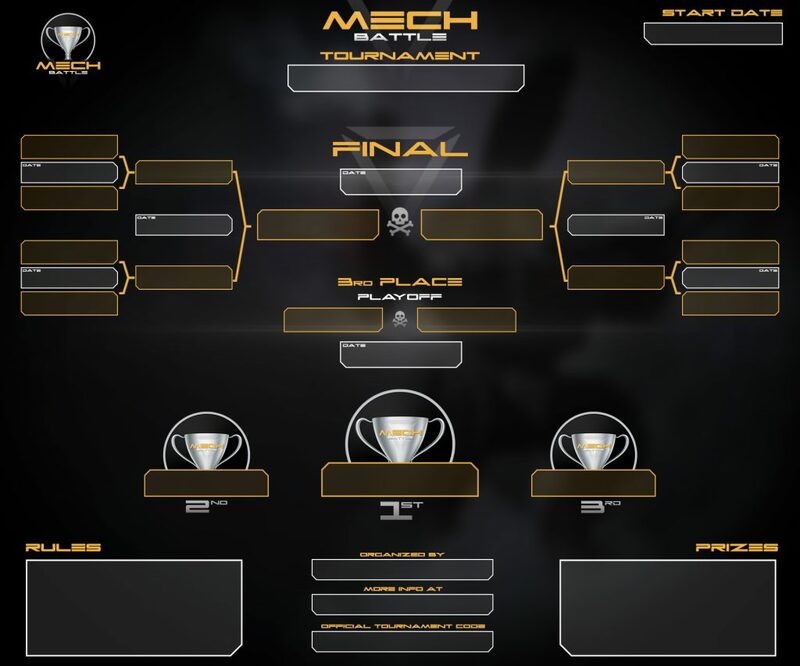 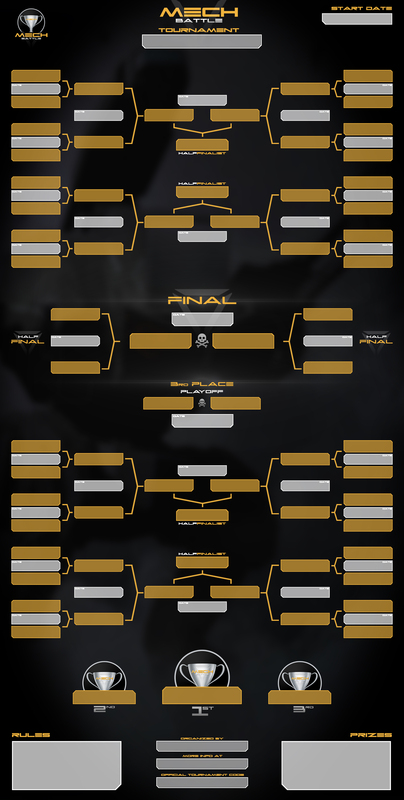 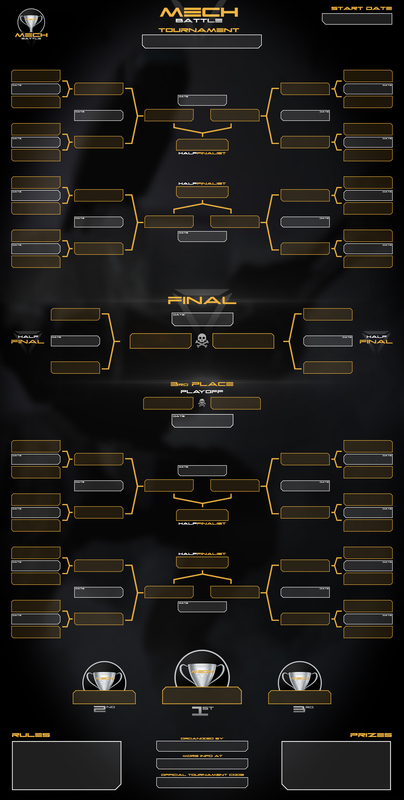 You can use our official Tournament Game Brackets to organise your very own event. Your Event, your Rules. 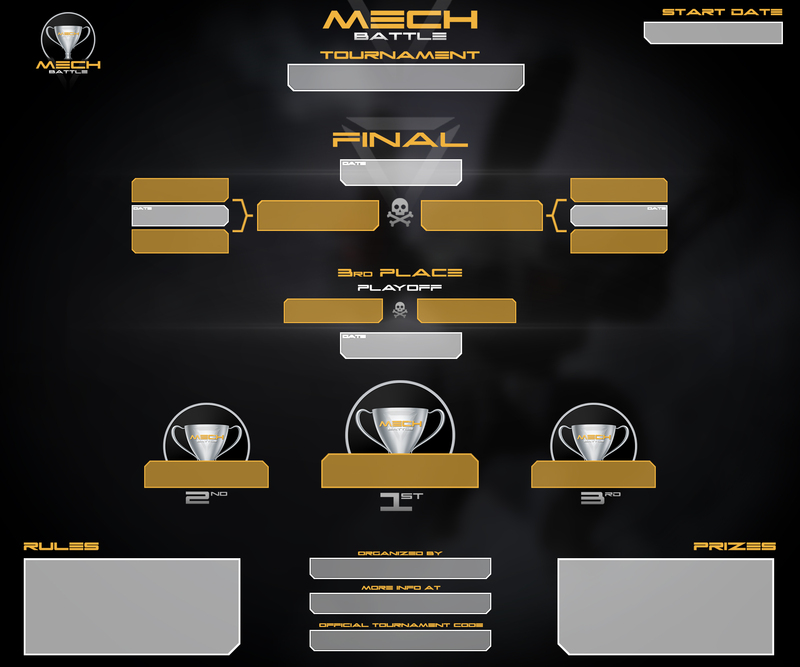 Wanna make a “Just Level 1 Mechs” Event? 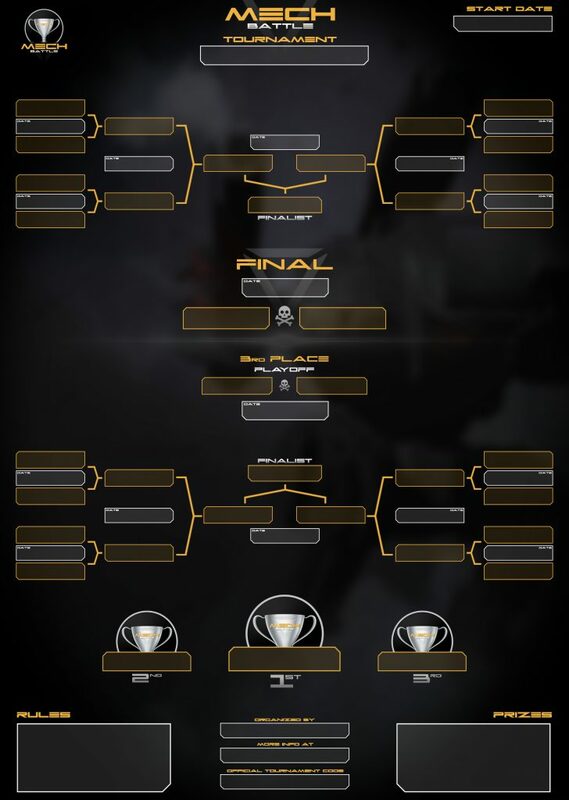 Or an “everyone just Rockets” Event? 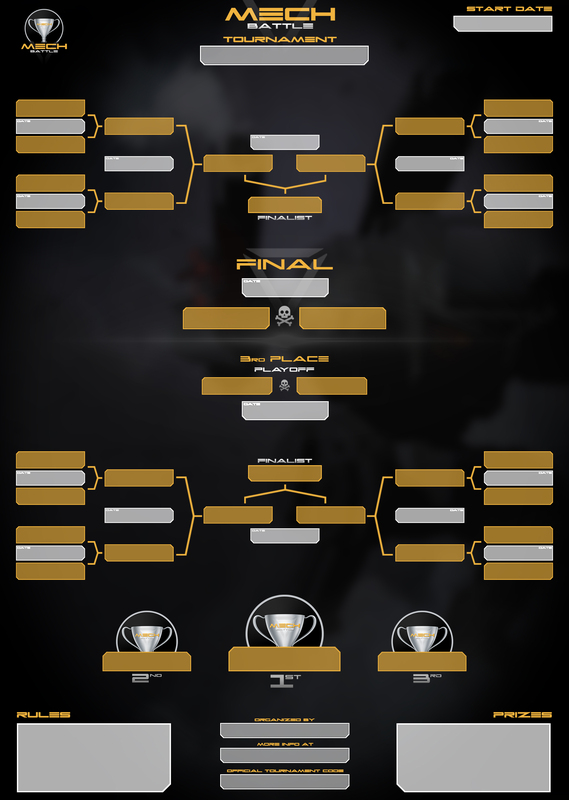 Just add your Rules to the templates to let everyone know.